On Sale Now! 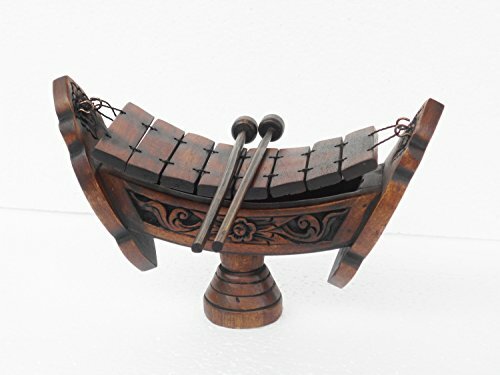 Save 9% on the Thai Teak Wood Thai Traditional Musical Instruments Teakwood Teak Wood Wooden Xylophone 8 Bar Notes, inch Wood040 by Thai Teak Wood at Bass Brass. MPN: Teak Wood040. Hurry! Limited time offer. Offer valid only while supplies last. This Thailand traditional wooden xylophone is made from Teak wood, the wood widely used for making furniture because of its resistance to insects. If you have any questions about this product by Thai Teak Wood, contact us by completing and submitting the form below. If you are looking for a specif part number, please include it with your message.